Make sure you have the proper coverage to protect your assets on the water just as you would on land. I had a conversation with a man who was out on his pontoon with about four or five other passengers on it. Another boater (who was uninsured) accidentally collided with his boat, knocking two girls out of the boat into the water. They had some significant injuries, and because the other boater was uninsured, the bulk of those medical expenses had to be paid for by the victims of the accident. Nobody wants to get into that kind of situation. If you're looking to purchase a boat soon or you think you may need to update the existing insurance policy on your boat, make sure you consider these three things. It's easier to get out on the water without insurance than it is to drive without it. Boating insurance has the same types of coverage that a car does, including uninsured and underinsured motorist insurance. Your policy provides coverage for damages you're legally entitled to recover from an owner or operator of an uninsured or underinsured boat. Medical insurance is very important on your boat's policy, because there are a lot more boats on the water without insurance than you'd think. Especially if you're in an accident with an uninsured boater, medical insurance will help cover the expenses of any of your injured passengers. They may need to go to the emergency room, a doctor, or a physical therapist—and having any medical insurance on your boat's policy may help alleviate those costs. 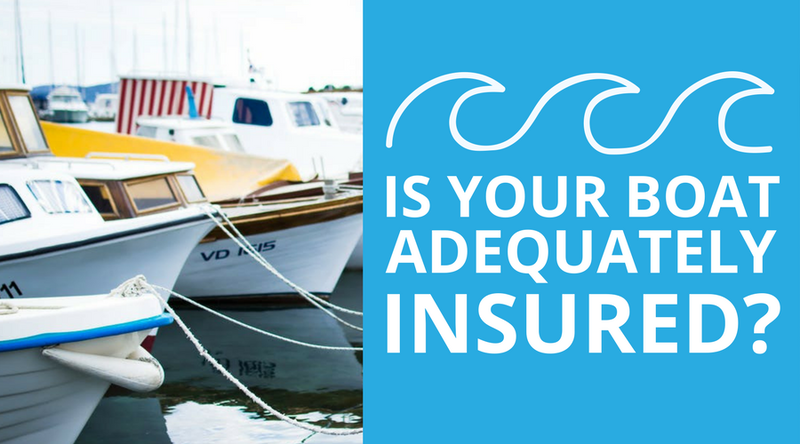 Boaters will sometimes think that an insurance policy only needs to cover the boating season, and unfortunately that's just not the case. We'll hear of people canceling their insurance after the summer's over, but we strongly discourage that, because it's a dangerous thing to do. Especially in Oklahoma, you need for your insurance to cover all possible damage to your boat, including tornado and hail damage. Year-round coverage will do that for you. If you have any questions about insurance for boats, we'd be happy to have a conversation with you about your best options for protecting your investment.